It’s a common dilemma when you’re pulling the trigger on new seating for the family or living room. Do you need a sectional or a sofa? The final call should factor for size, comfort level, and aesthetics – not to mention room dimensions and personal taste – but we’re sharing a few pros and cons to help you decide. 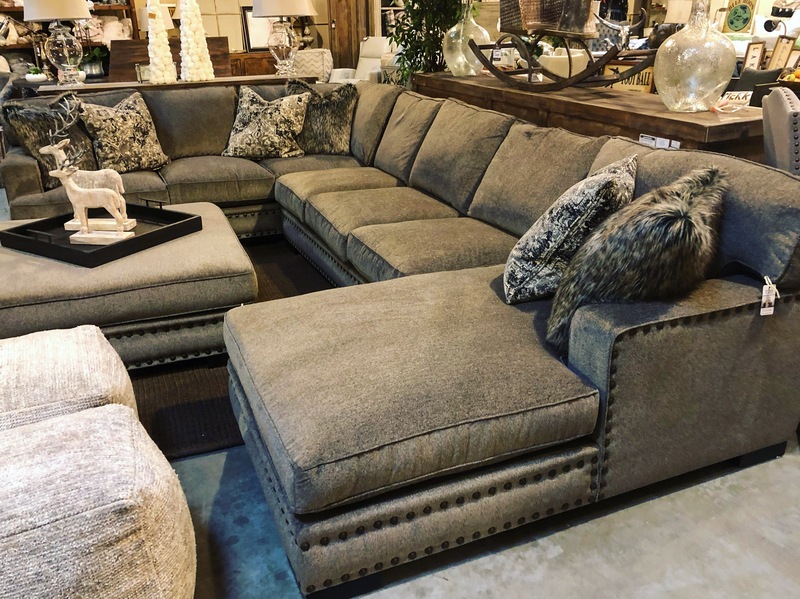 Read on for tips you’ll find helpful if you’re debating the merits of a sectional or a sofa, and why you can find both in Reno right here at The Find! A sectional can be an idea anchor for a big space, but a well-placed sectional works beautifully in smaller rooms as well. Don’t make the mistake of assuming you definitely don’t have the option of a sectional sofa just because you’re working with less square footage. In fact, a sofa-and-chairs combination in a tight space can feel cramped, whereas a smartly placed sectional feels a little more purposeful and tidy. Pro tip – don’t eyeball your space and assume a sectional or sofa will work. It’s never a mistake to use graph paper for a floor plan sketch that includes scaled measurements and elements like doors, windows, and any built-in elements (like a fireplace). When it comes to seating, a sectional may seem like it has much more room. That may be true for a family or close friends crowding together, but it can be a little too familiar for a more formal gathering. If personal space is an issue, a sofa and some chairs may be a better option. Plus, you’ll have the flexibility that comes from being able to move things around if you like rearranging things periodically or in the event you move. Actual space aside, a beautiful section creates a sense of casual coziness, encouraging people to curl up for conversation or relaxing. You can create a welcoming atmosphere with the right combination of sofa and chairs, but the effect tends to be a touch more formal. Pro tip – Consider the aesthetic you’re going for, and who will be sitting in these rooms the most. Is the space primarily for lounging around and watching television? Will you be entertaining guests regularly? That can help steer you in the right direction. The good news that whether you opt for a sofa or a sectional, you have plenty of options. 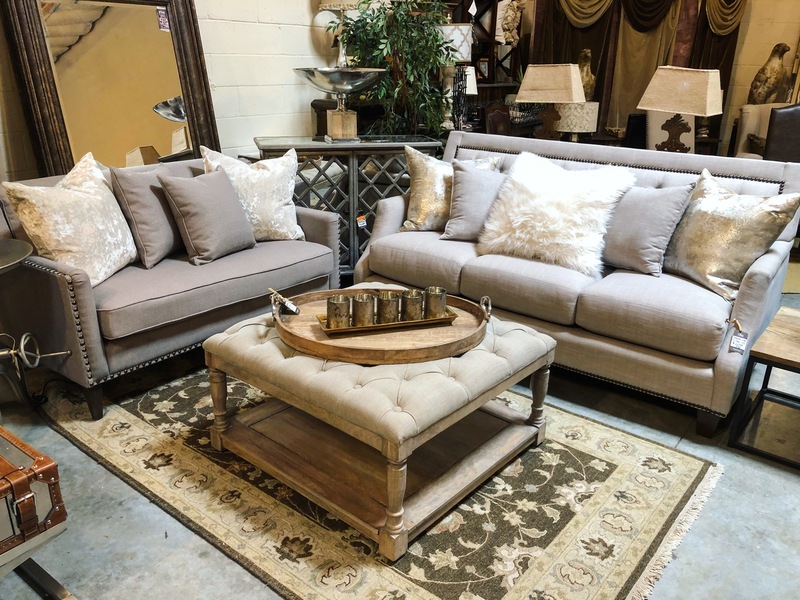 At The Find in Reno, we have an amazing selection of beautiful sofas and sectionals, with a dizzying array of fabrics, configurations, sizes, and shapes, all so that you can create exactly what you need. And if you need help narrowing things down, no problem! We offer complimentary design assistance, and we’re happy to help you find just the right option for your home and your lifestyle. Visit us Thursday, Friday and Saturday from 10 am to 6 pm at our expansive warehouse space on Longley Lane in Reno, and let’s solve this sofa-or-sectional dilemma together. « Furniture Shopping in Reno? Start at The Find!